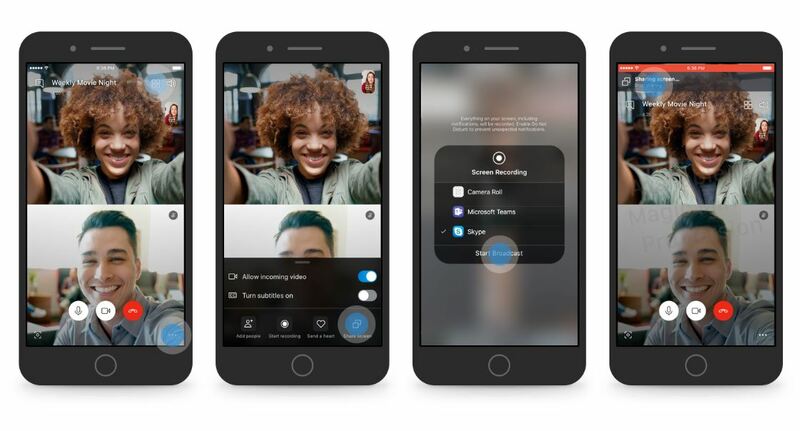 Microsoft is introducing a new feature in its Skype app for iOS and Android, providing users with the ability to share their phone’s screen over voice calls. The software giant is now testing iOS and Android apps that allow the screen sharing feature to work. The feature will basically allow your friends to share anything on their phone’s display. The sharing feature can be used for several purposes, like sharing PowerPoint presentations and more. Let’s dive in to see some more details on the matter. At this point in time, the feature rests in the beta phase and if you’re willing to give it a go, you will need to be a Skype Insider to access the feature. Since it is in the beta phase, for now, there might be a boatload of bugs present which Microsoft will work to resolve over time. If you’re interested in giving it a go, head over to this link to sign up for beta access. The company has made it clear in a community post that the feature is indeed coming to both platforms, iOS as well as Android. Moreover, Microsoft has also shared screenshots of the screen sharing feature in action running on iOS. It seems that the feature is not yet enabled in the beta build. Moreover, we’re not sure when the company will officially release the feature to the general public since no statements have been made regarding the final release. Nonetheless, we expect the Skype screen sharing feature to arrive in the coming weeks. There will be more to the story, so be sure to stick around. This is all for now, folks. What are your thoughts on the upcoming screen sharing feature in Skype? What is your practical usage of the feature? Let us know your thoughts in the comments.